Join us on a trip around one of the most beautiful parts of the country as we find out what Cumbria has to offer. String of Horses lies in the middle of one of the most beautiful and historic areas of Britain: near Hadrian’s Wall, the Lake District and the Scottish borders. With its oak beams and panelling, open fires and gleaming brassware, the String of Horses has welcomed visitors from all over the world for more than 350 years.Though acclaimed for its ‘yesteryear’ ambience, the inn looks after you in 21st-century style, with great food. In every room is free Wi-Fi access, a digital TV and an en suite bathroom. 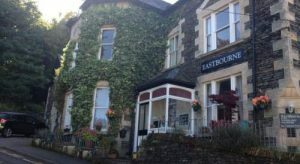 This is a 4 star AA inn property. The bar and restaurant are closed on Mondays. Overlooking the surrounding countryside, Uplands offers a bar and a restaurant. With free Wi-Fi throughout and free onsite parking, it is only 15 minutes’ walk from the bustling village of Cartmel and just 11.3 km from Lake Windermere. The rooms include a TV, a work desk, and tea and coffee making facilities. The en-suite bath or shower rooms have complimentary toiletries and a hairdryer. Some rooms have views of the Leven Estuary on Morcambe Bay and the Furness Peninsula. Featuring views over the Lake District, the Uplands Restaurant offers an exquisite dining experience with a weekend carvery, an a la carte menu, light lunches, and afternoon tea. 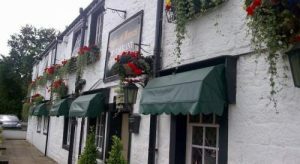 The local area offers a wide range of activities, including lively and frequent events within Cartmel and a large number of golf courses within a small radius. Uplands itself stands within 2 acres of gardens. The Shire County of Cumbria is in the extreme North/West of England. The county stretches from Morecambe Bay to Soloway Firth along the Irish Sea coast. It includes the outstandingly beautiful Lake District; comprised of a series of volcanic rock and slate mountain peaks and lake-filled valleys. It also includes the Carlisle plain and the Eden and Kent river valleys. Tourism, sheep farming, salmon fishing, and mineral extraction are the primary industries here in Cumbria. The area has been shown to have been occupied by humans since the Neolithic Period. Northern Cumbria vacillated between Scottish and English rule until the mid-10th century; it was finally taken back from the Scots in 1157. 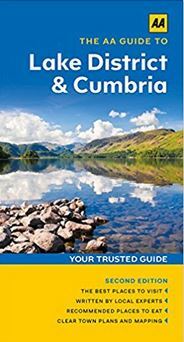 The AA Guide to the Lake District & Cumbria (Travel Guide). To some a walker’s paradise, to others a foodie’s heaven, the delights of the Lake District might be world-famous, yet picturesque peace and solitude is always surprisingly easy to find. The AA Guide to Lake District & Cumbria gives you all you need to know to get the most out of your visit to this wonderful area. 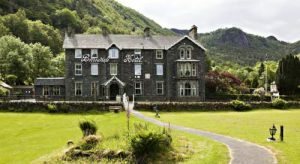 From the ‘most beautifully located’ theatre in Britain to the last working slate mine in the country, the home of William Wordsworth to the landscapes that inspired Beatrix Potter, each entry is packed with the very best sites to see, things to do, recommendations for eating and drinking, and places to explore nearby. With everything from local legends to must-see festivals and events, this authoritative and practical guide ensures you will never be lost for something to do. For the visitor‘s, the attraction will always be the lush countryside and incredible diversity of the area. Poets have been inspired by it, particularly around The Lake District. This area has been home to poets such as William Wordsworth, Samuel Taylor Coleridge, and Robert Southey, to name but a few. The Lake District National Park is located in Cumbria and is a delight for any visitor. Covering 880 square miles, it is the largest, most spectacular and most visited of Britain’s National Parks and a definite ‘must-see’ for any traveller who comes to Visit. Take A Break Holidays takeabreakholidays, Cumbria Accommodation.